ST Rubber’s News Catalog 2016 is now available. The company informs about over 170 items on 34 pages. The brand Malesation has expanded its assortment and can now also be found in the condom section of ST Rubber’s catalog. 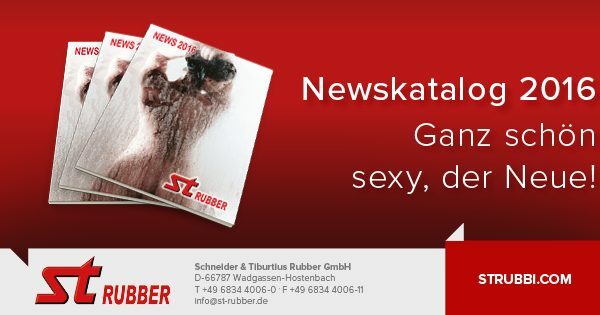 The new catalog can be downloaded on the company’s homepage or ordered in print by e-mail to info@st-rubber.de as well as by phone: +49 6834-4006-0.